OptiTech™ LED rectangular adjustable shop lights are powerful, versatile and energy efficient alternative or replacement for traditional halogen downlights. 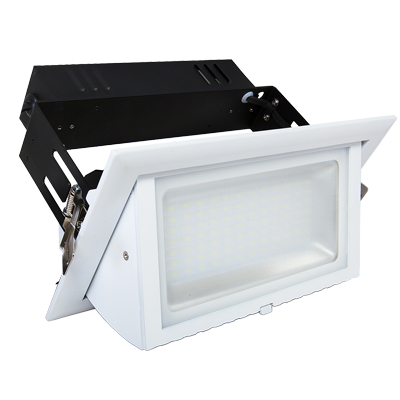 This shop light uses the latest surface mount LED technology, is powerful and has a size to suit most applications. This shop light uses the latest (SMD) surface-mount LED technology.